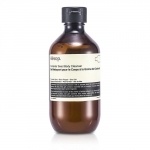 Jennifer Allen : Aesop body cleanser. Amazing product to cleanse and uplift the soul. Something special to share with house guests.